Read our helpful guide to second hand Range Rover. AA Cars works closely with thousands of UK used car dealers to bring you one of the largest selections of Land Rover Range Rover cars on the market. You can also browse Land Rover dealers to find a second hand car close to you today. 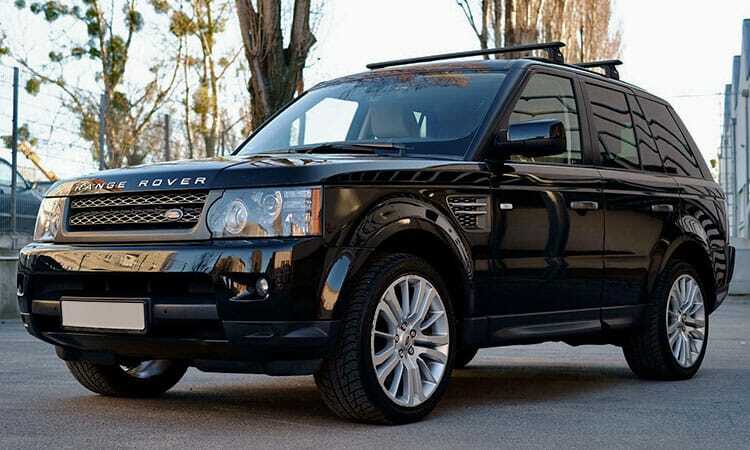 All used Land Rover Range Rover on the AA Cars website come with free 12 months breakdown cover. In the SUV market there are few cars that can compare to the 40 year supremacy of the Range Rover. Although it is now essentially a top-end luxury car (with a price tag to match), it boasts off road performance which is almost unrivalled. Sporty yet sophisticated, it tackles any landscape with ease thanks to the Land Rover Terrain Response system, while on the road it is refined when it needs to be, and brisk when you want it to be. The 5.4 seconds it takes the imposing 5.0 litre V8 to hit 60mph is particularly impressive considering its weight. The only aspect that might present a problem is the price, and it being such a large and restrictive stumbling block, its no wonder that Range Rovers are most commonly associated with footballers and rappers.